September 12 was a busy day in Moon science history. On September 12, 1959, the Soviet Union launched the second of their Luna Moon probes. 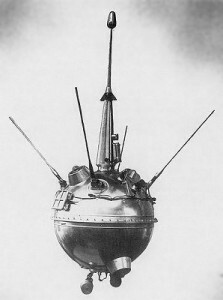 Luna 1 was supposed to be the first man made object to reach the Moon, but an error during launch caused the probe to miss its intended target. Luna 2 was designed to fly to the Moon and impact on the surface. It would do so on September 13 when it impacted at 0 degrees longitude, 29.1 degrees N latitude in the Palus Putredinus region. Luna 2 would verify Luna 1’s discovery of the Solar wind. The Solar wind is a stream of high energy particles and plasma released by the Sun that spreads outwards across the solar system. Its existence was postulated by several physicists and astronomers but had never been directly measured prior to Luna 1’s flight. Luna 2 confirmed this discovery. Luna also discovered there were no radiation belts around the Moon as there are around the Earth and the Moon has no appreciable magnetic field. On September 12, 1962, President Kennedy made his “We choose to go to the Moon” speech at Rice University in Texas. The common perception among Americans prior to 1962 was the United States was constantly lagging behind the Soviets in the Space Race. The Soviets had beat the US to several firsts: first satellite (Sputnik), first man in space (Yuri Gagarin), and first to send spacecraft to the Moon (Luna 2). The Rice speech was supposed to challenge the American people to support a drive to pull ahead of the Soviets by appealing to national pride. He addressed the crowd of 35,000 and outlined a plan to dedicate the nation’s support to landing a man on the moon and bringing him back safely by the end of the decade. The United States would successfully meet this challenge on July 20, 1969. Here is Kennedy’s Rice University address from September 12, 1962. It is a pretty stirring speech. 1962 – Kennedy gives his Moon speech. 1959 – Soviets launch Luna 2 spacecraft. 1923 – Jules Violle died. Violle was a French astronomer who made the first high altitude measurement of the solar constant. The solar constant is the amount of radiant energy per unit area when the sun is directly overhead. 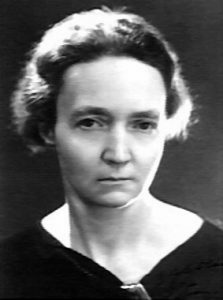 He also created a unit of luminous intensity called the violle based on the light emitted by 1 cm2 of platinum at its melting point. It was the first unit of light intensity not based on a lamp or candle. This unit was eventually replaced by the modern SI unit of the candela. 1897 – Irène Joliot-Curie was born. 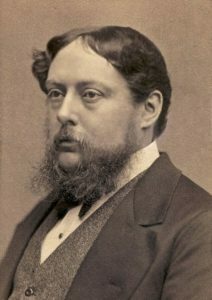 1888 – Richard Anthony Proctor died. Now let’s send people to Mars!